Last night we attended a Thai Cultural evening at Katara. There was Thai music and dance followed by a really nice Thai buffet. Unfortunately I only had my phone with me so the photos are not so good. But we do appear in the press photo published by the Gulf Times today along with the Thai ambassador. Now that the weather has got much warmer in the mornings we have abandoned the Friday 9am walk along the Corniche. Instead we now walk in the evenings… again along the Corniche and then into the MIA Park for a cold drink or an ice cream as a reward. We sit at the Park Café looking across towards the high rise building of West Bay as the begin to light up as dusk approaches. Yesterday evening, instead of the usual calm, we were treated to a display of jet ski acrobatics. 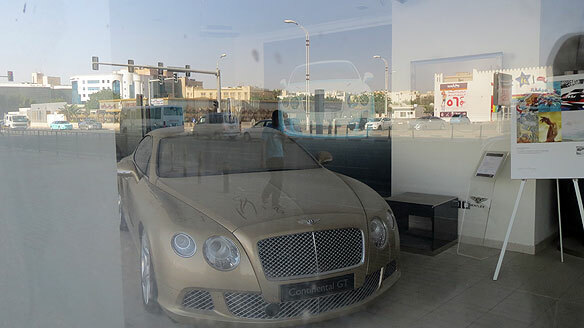 Doha is awash with expensive cars. 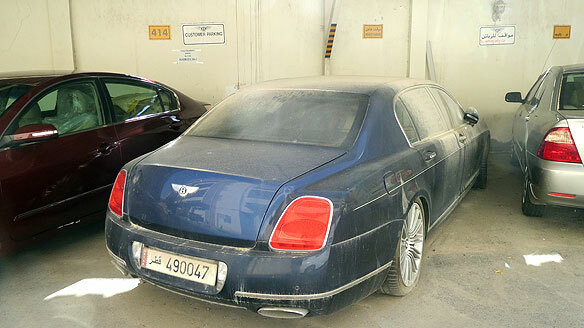 Of course there is the ubiquitous Land Cruiser, but also Rolls and Bentleys are frequently seen on the roads. 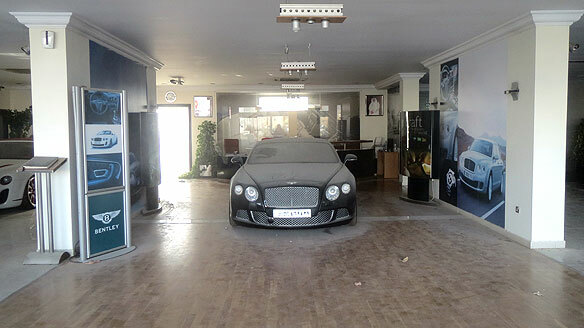 About 500 metres from our flat is the former Bentley and Lamborghini dealership. 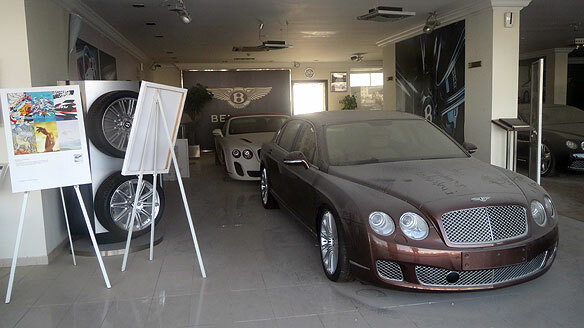 If you wipe the dust off the plate glass windows, inside are four brand new Bentleys left behind after the move to new premises over a year ago. Outside round the back is a previously owned car covered in a thick layer of encrusted dust. These cars must be worth around £1 million or $1.5 million. I wonder if they will take an offer on the Convertible? 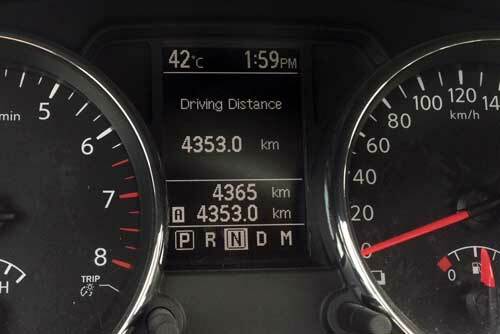 We had a really pleasant winter in Doha… a couple of weeks after I started in September the temperature dropped into the mid 30s, then stayed around late 20s to mid 30s most of the way through until now. 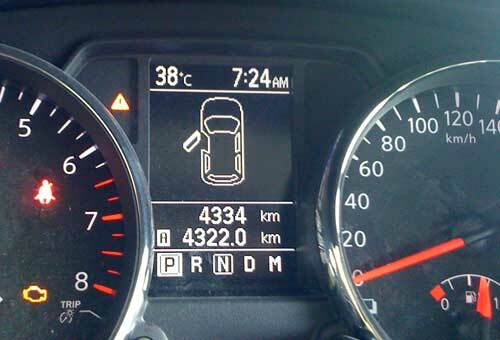 Now we are entering in the summer months and it will get much, much hotter. 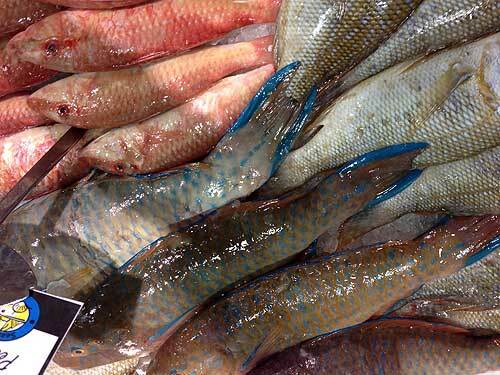 I have written briefly before about the fish found in local gulf waters. 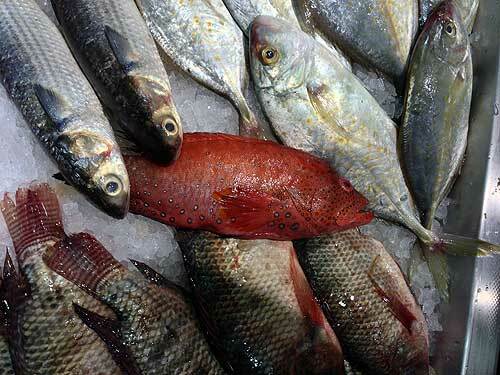 The marble slab in our local supermarket displays a variety of local fish. 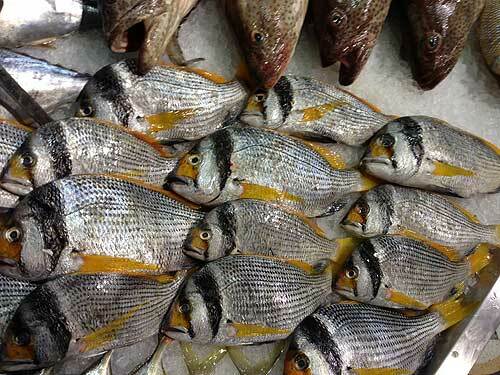 I am intending to go fishing at some point, although it might well now have to be after the summer. 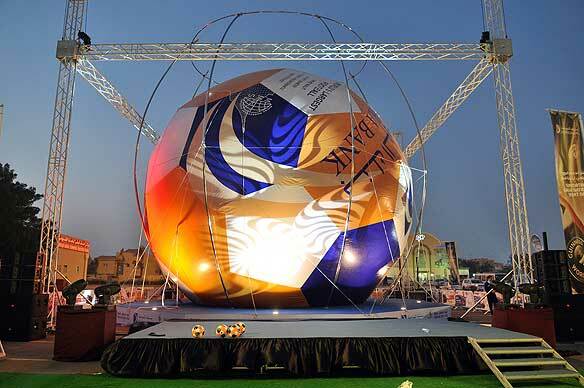 Until a week or so ago, an enormous football, billed as the largest football in the world stood near the Aspire Sports facility. It’s status is apparently verified by the Guinness world records book. I guess it’s all part of the World Cup PR process. Unfortunately I was always driving when we passed it so I’ve been unable to photograph it myself… and now it’s gone. 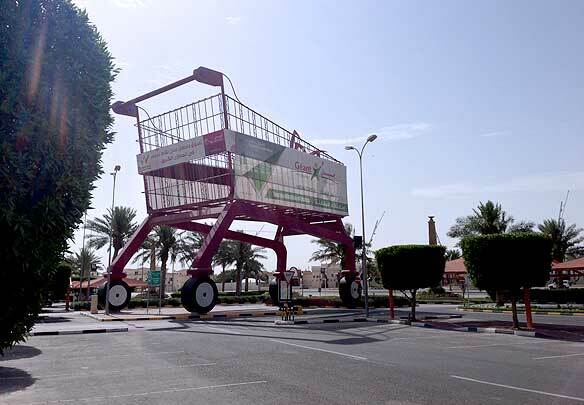 However instead I give you the largest shopping trolley. 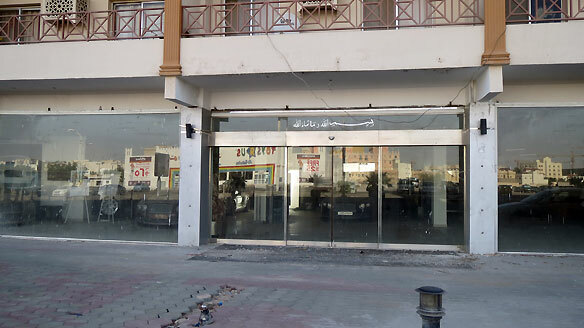 It sits outside the Geant hypermarket. I don’t know whether this qualifies for world beating status, but it must be close.